Starting today, Version 11 of our software for email archiving is ready for download. Aside from further developments for MailStore Server and MailStore Home, the MailStore Service Provider Edition (SPE) in particular also includes significant improvements and new features, available immediately to registered service providers. The focus of the ongoing development of our products has again been the consistent improvement of security. Optimized email management is accompanied by the improvement to the compliance characteristics. 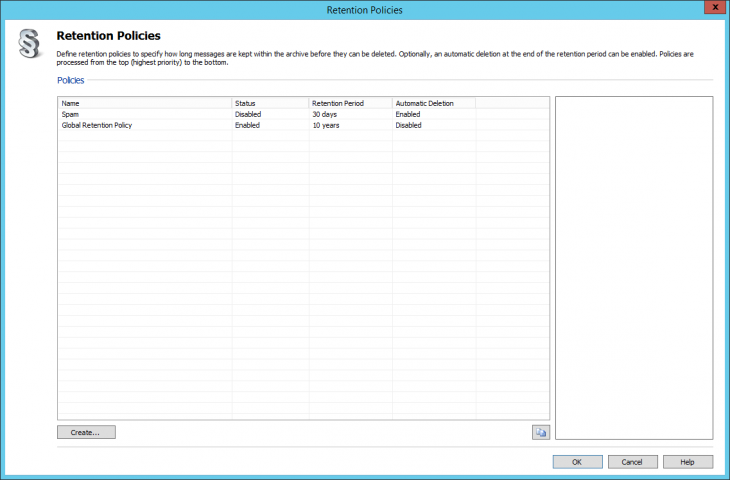 What new features affect both Mailstore Server and the SPE? Our software for use in SMBs now includes highly developed retention policies, that can help our customers to meet the requirements of the GDPR, particularly the right to have personal data deleted (‘right to erasure’). This way, administrators can now set individual guidelines, thereby gaining complete control over how long emails are archived. They can now determine for themselves whether and when emails are automatically deleted from the archive, helping them to comply with the retention policies required by various national law. For security reasons, we recommend that our customers always work with the most current version of our software. In order to ensure that the MailStore Web Access is up to date and the that the newest security updates are installed, from now on, MailStore Server´s and the SPE´s Web Access will update themselves automatically. MailStore Server and the SPE now support the hybrid encryption protocol Transport Layer Security (TLS) 1.1 and TLS 1.2 for secure data transfer. This results in a significant increase in the level of security. This also touches on a new feature which relates to the integrated IMAP server: From Version 11, authentication over an unsecured connection is no longer possible. A company’s IT strategy should include regular backups of the email archives. 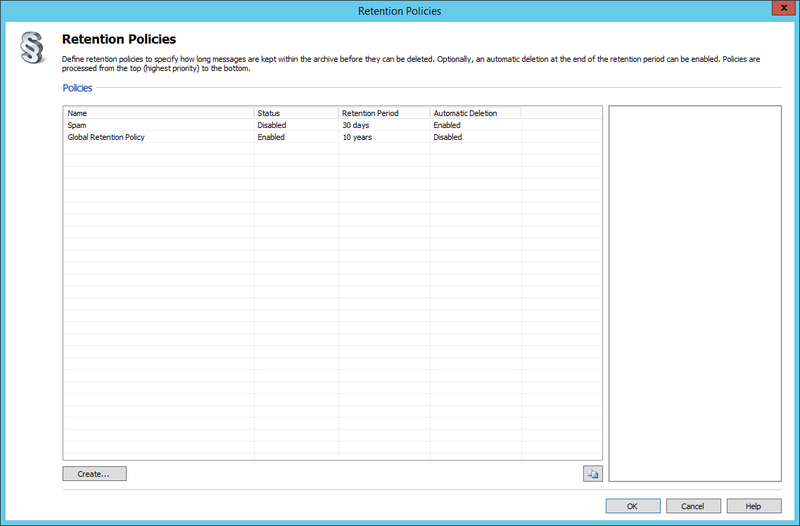 MailStore Server administrators can benefit from a backup warning in Version 11, released today. So that a backup is not forgotten, the administrators receive a warning on the dashboard and in the status report which reminds them that a backup is due. What new features are offered by the SPE? During this development process, our software for email archiving “as a service” has been provided with several features: Among these is an automatic update check which simplifies to keep the software up to date for the SPE admin on the service provider side . In MailStore 11, the service provider administrator finds out via a notification on the dashboard of the Management Console, as well as optionally via email, when a new version of the software is available. Furthermore, the SPE administrator of the service provider has only limited access: From Version 11, he is able to view only the administrator’s jobs which are handled on the customer side of the SPE and can solely edit and carry out his own jobs. 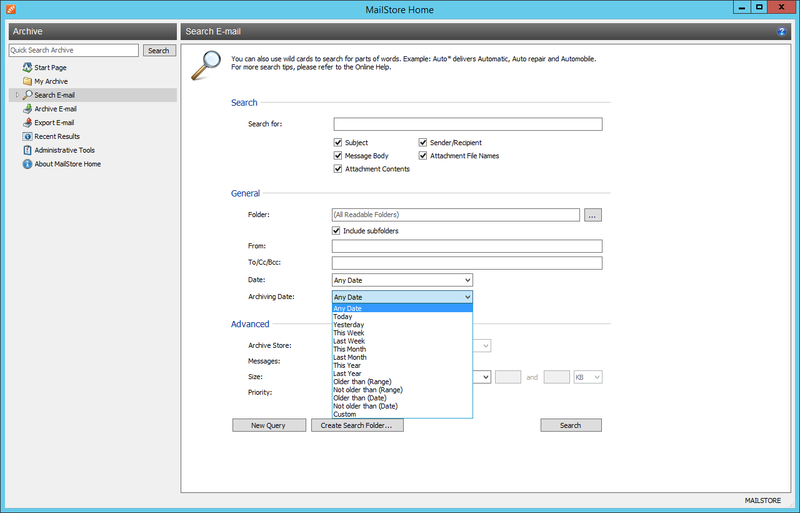 Even though the update this time is particularly aimed at our commercial solutions, MailStore Home, our free software for private use, offers an innovation: Like its premium siblings, it is now possible to search in MailStore Home by archive date and the restore of a damaged archive has been made easier and faster. Version 11 of the Mailstore Server and SPE is available immediately to download free of charge for all existing customers with valid Update and Support Service contracts at company website. Customers whose Update and Support Service contracts have expired should renew them via an upgrade, available for a fee, and also update to the new version. Furthermore, interested companies can download this version as a free, unrestricted 30 day test version..
Service providers interested in MailStore SPE can register here free of charge and receive all of the relevant information, including access to a free test version. MailStore Home is available on the product page of our website for download. just tried the 30 day trail version of mailstore and have some issues about restored email. when email restored to any of the folder I got this error message showing the outlook blocked access to this potential unsafe items. any ideas about this? Too bad that Mailstore Home does not save the address book! (Contacts). You see: Address books and contacs are changing quite often so from our point of view it doesn´t make any sense to archive them in an email archive. Sorry for that but hopefully our answer helped you to understand why MailStore software does not archive the adress book and contacts. Best regards from Germany!